After a goodbye breakfast with neighbours, we finished the last minute preparations, and left Mesa, Arizona shortly before noon on April 1st. At 4:30 we were in Winslow, Arizona sitting on the corner eating ice cream, while watching first-time visitors posing for the same pictures we had taken on our first visit. When we’d finished the ice cream, we decided to call it a day. We found a campground listed in a flyer we’d picked up so called to reserve a spot. The woman implied that it was filling up quickly, and it was a good thing we’d called ahead. We didn’t expect a lot of amenities because the rates were fairly low, but when we arrived at Winslow Pride RV, we had difficulty recognizing it as a campground. It was located behind a convenience store. The gravel driveway was full of many water-filled potholes, and the water and electric hookups looked very doubtful. We chose to use only the electrical since we still had plenty of water on-board. There were many empty spots. Water tap bearably visible, beside sewer connection. We’d taken the same course, on I-40 through Gallup, and Tucumcari, New Mexico, through a corner of windy Texas, and into Oklahoma before, but this time the weather was warmer and there seemed to be more RV Campsites available. We made one stop in McLean, Texas for lunch. McLean is one of the many towns that were once vibrant when Route 66 was the main highway crossing the nation and ran through them, bringing lots of business. Now McLean is practically a ghost town with many boarded up buildings and dilapidated homes. Not one of the three museums was open, but we did find a The Chuck Wagon Diner, where we shared the daily special of cheeseburger meat loaf served with gravy (of course), mashed potatoes, mixed veggies, a fresh dinner roll and a piece of cake! Even shared it was too much food for us to finish, but it was tasty. Near Oklahoma City we found a familiar RV Campground, Rockwell RV, where we stayed for the night. The weather, that had been cooler after we left Arizona, had warmed up to 85°F. Total length of this rig, including truck, trailer and towed vehicle — 80 feet! The next morning we drove into downtown Oklahoma City and spent a few hours enjoying the scenery along the River Walk and taking many, many photos of the magnificent, larger-than-life bronze statues depicting the Land Runs of 1889. Be sure to come back to click on the link and all the menu items on it. It’s a wondrous story. I did find the monument that honoured the natives from whom the land had originally been taken, disturbing. before getting onto the I-44 to Joplin, Missouri where we stayed for the night. The next day we veered away from I-44 and took a scenic drive through the Ozarks on Hwy 265, stopping for lunch at Lambert’s Café (Home of the Tossed Rolls and extra large coffees) before getting back on course. We were thankful that there was no snow when we arrived home by dinner time on April 7th. I, for one, was happy to get out of the motor home that was feeling very cramped after seven months of living in it. But it was an excellent adventure! I hope you’ve enjoyed this adventure. Thanks for joining us. Likes, comments and new followers are appreciated. 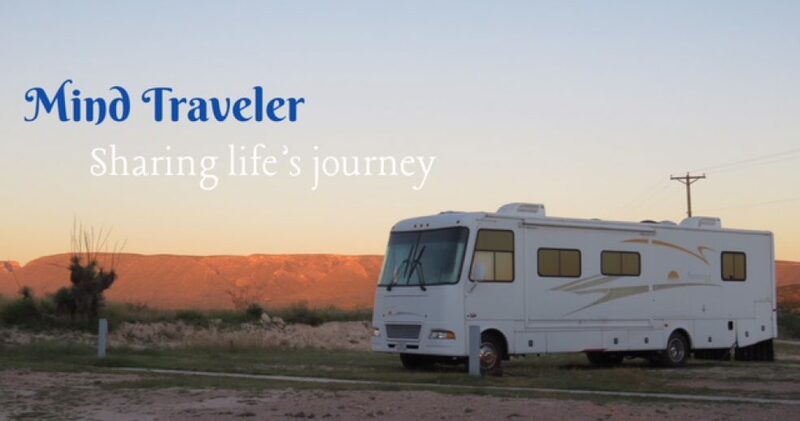 This entry was posted in Adventure, RV Travel, Seniors and tagged Arizona, Missouri, Okalohama, RV Travel, RVing, Texas, travel. Bookmark the permalink. ← National Post Story too Insane not to Share! Excellent post, Judy! Do you have any tips about the highlights of Winslow? Thanks, Agness. Winslow is a pretty small place and the four corners of the main street is pretty much the highlight, but it’s interesting, especially if you are familiar with the reference in Eagles song, Take It Easy. Are you planning a visit there? Thank you for coming along, Christine. It looks like your trip home was almost as adventure-filled as the trip down. I know what you mean about just wanting to get home, though. Thanks for sharing all of your adventures. At Lambert’s the Iced Tea was 32 ounces!